Hi all, I am in. Decided to go with the 35th scale kit. Construction underway....interior primed, painted....some extras and wheels. ...and now for the hard part.... Only one more side to go....then off to the cab. I have forgotten how long it takes to hand paint. Wow, folks are nearly done. I really haven't started, OK, it's a hanger queen and I got some paint on it a long time ago, long enough ago to have lost part of the cockpit. Markings provided for 2 planes, one with early and late decals for a bird in Sicily and one for a plane in Tunisia. The box has some detail artwork. 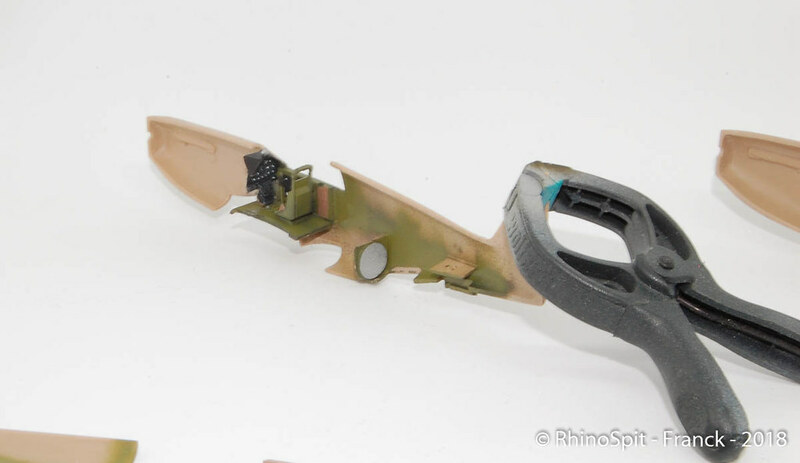 I replaced the missing cockpit bits with a little help from Roll Models who managed to dig up this older CMK resin upgrade. I think the only thing I forgot was to get a date and time into the the pictures. That's OK Mark, we'll take your word for it. Have at it! Moving right along there, Chaz! Well, it's starting to look like a Hurricane. Definitely limited run so far, but not bad at all. Hi ho! Antenna and headlight glasses missing, and have to touch up tracks, few spots with flat varnish and some non-weathered parts. 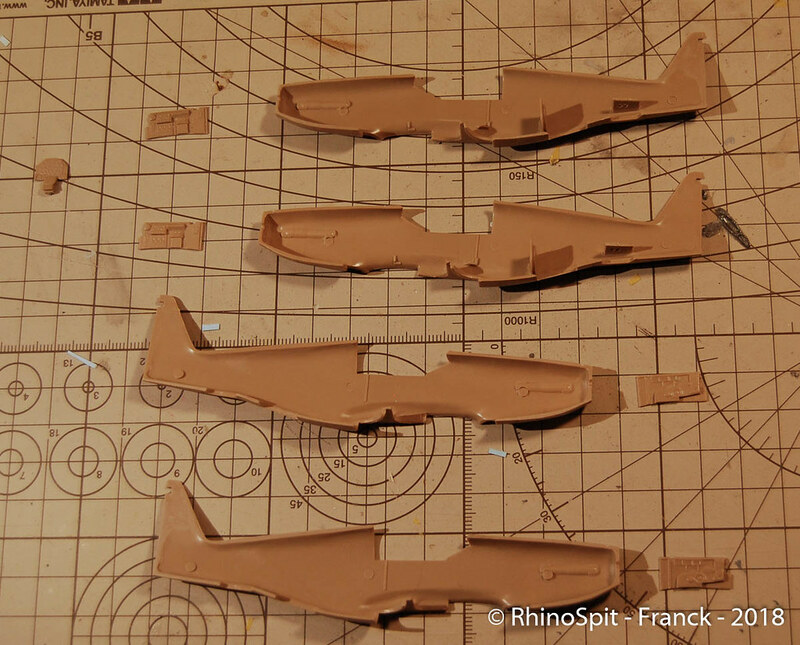 i've one question: i'm currently building in parallel two A-36 apache. One is for this campaign and the other for campaign Hot of the molds 2018. Can i publish the sames photos in the two campaign galleries? I think that should be fine, as long as both models are in each photo. Chaz, looking good there. I made that kit a while ago as captured vehicle (possible in Malta). Your camo looks very interesting. Almost ready to join you, guys! Overall this was easy and fun kit to build, although it was bit overly simplified. Two more photos in the gallery. Thanks for the campaign, and good luck to other participants in completing the builds. I am very happy to have found this campaign and have to say that I am sorry to have missed the PTO and other theater campaigns. Any chance of a take two on these? I have been cleaning out model closets and putting kits I am unlikely to actually build up on Ebay. I want to move in a couple of years and feel the need to thin the herd even though I hate parting with my 50 year collection of treasures. 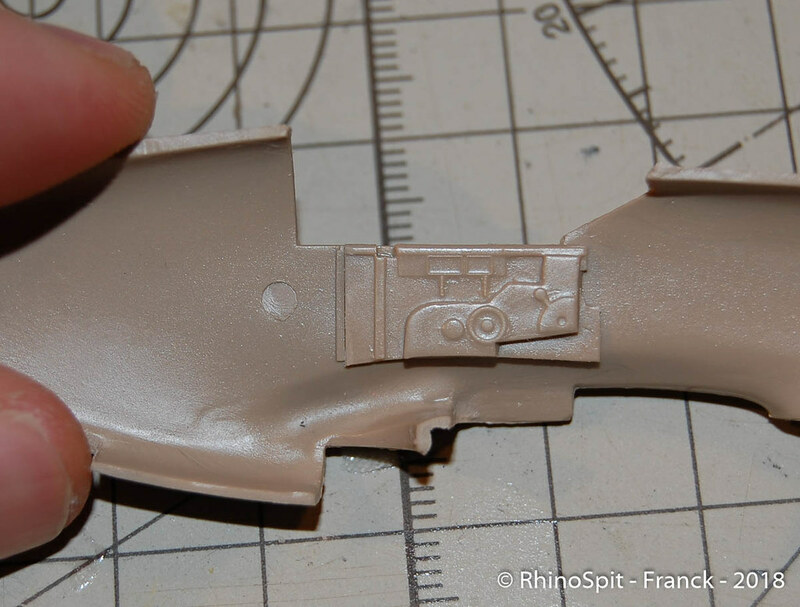 One of the items dug out is the old Tamiya M3 Lee upon which much criticism has been heaped over the years. I took a look at what the were selling for and it was not very much, not worth the labor of shooting the pics and writing up an ad. I don't need it, I have the new all-singing, all-dancing Takom version so it seemed a great kit to try something new and extend my rather basic skills. I would like to try doing a mud camo version as used in North Africa which would make it perfect for this MTO campaign. 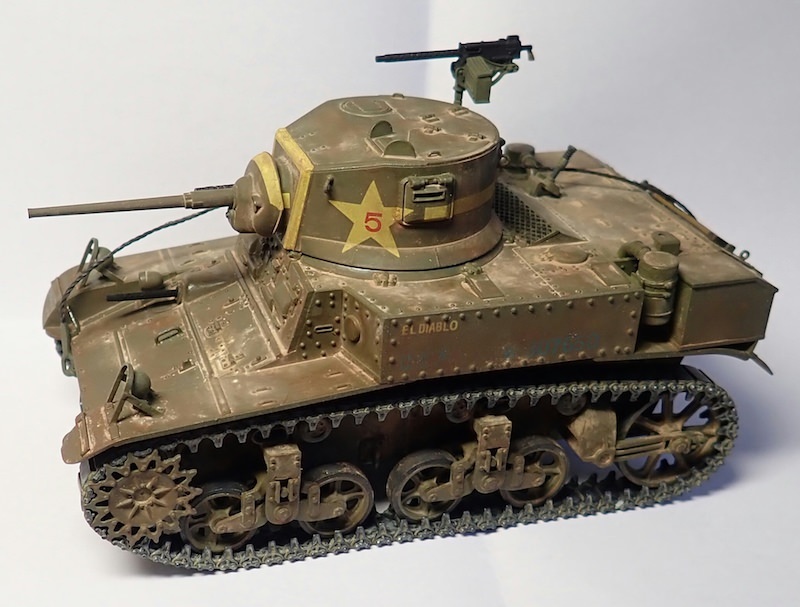 I like building these Tamiya kits, the plastic is a pleasure to work with and they usually end up looking something like the real thing even if there may problems here and there. I'm not going to bother looking up the issues seeing the kit is already in hand and ready to be built. If I see something that needs correction & I can do it, fair enough but this build will not be submitted for review by any rivet counters, I'm just going to enjoy it. That's the spirit Paul! Looking forward to seeing your Lee come together. Never seem to be able to find one in the UK, but a few years ago did manage to pick up the Grant. I'm currently holidaying in Crete and it has got me thinking about joining in when I get back. HMS Kelly might be a good one to do. ... HMS Kelly might be a good one to do. Already wondered if someone's doing a ship involved in the MTO as there were many options. So Stephen, enjoy your holidays and later go for it. @Pasi: Very well done and nice added details, congrats. Really love the "deserted" paintjob you've done. 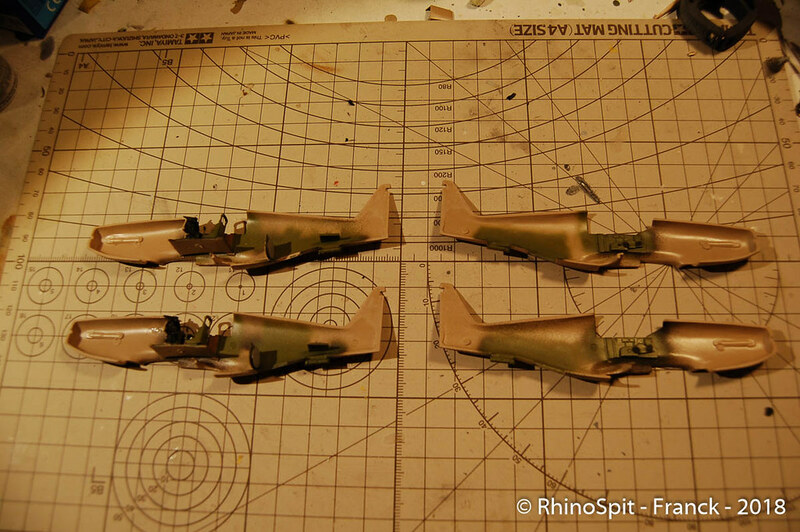 Meanwhile working on the fiddling parts, pit and etched additions of my Academy's 72 P-47. First progress shots coming soon. you will see on the following photo 2 A-36 Apache. one will be for this campaign, and the other for the Hot of the molds 2018 campaign. 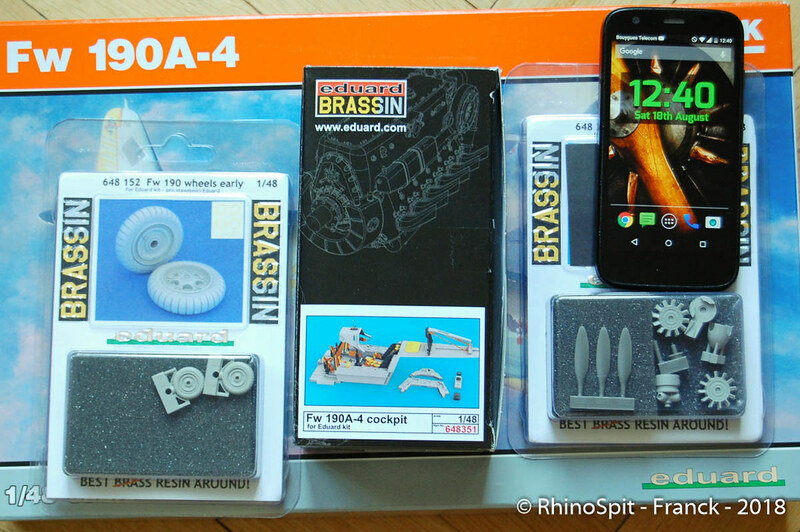 the kit are from Brengun, and 1/72 scale. Currently enjoying the beer, food and importantly the sun. Was hoping to learn a little bit more about the Crete campaign and occupation but nothing much where I am in Stalis. There is a museum in Heraklion but it's currently closed due to a relocation. There are a couple of museums on the west side Crete, but too far away on public transport. Maybe another time. I have however taken the opportunity to visit the Palace of Knossos. Very impressive. One thing I do understand now is why Mountbatten had the Kelly painted in grey-pink. It would blend in perfectly with the mountains on the coast. I have about four or five of Revells reissue of the Matchbox Kelly. It's a good starting point for other K and J class destroyers. Some progress to report on the M3 Lee. It went together quickly with some fit issues that I'm not used to seeing with Tamiya kits. Perhaps I messed something up while fumbling while reordering the assembly sequence to make painting easier. While building the model I have been reading up on these tanks. There is a great story behind the M3. It was an interim model intended only as a gap filler between the M2 that was judged to be too far behind the times and the M4 which needed a larger turret than could be manufactured at the time. It served the needs of the ARMY, the British and even later on, the Soviets until the M4 could be made. It allowed the mighty engines of production to be tooled up and production priorities ordered. All of that is no small thing. Just as with the M4, engines were a real problem and several different powerplants were used. 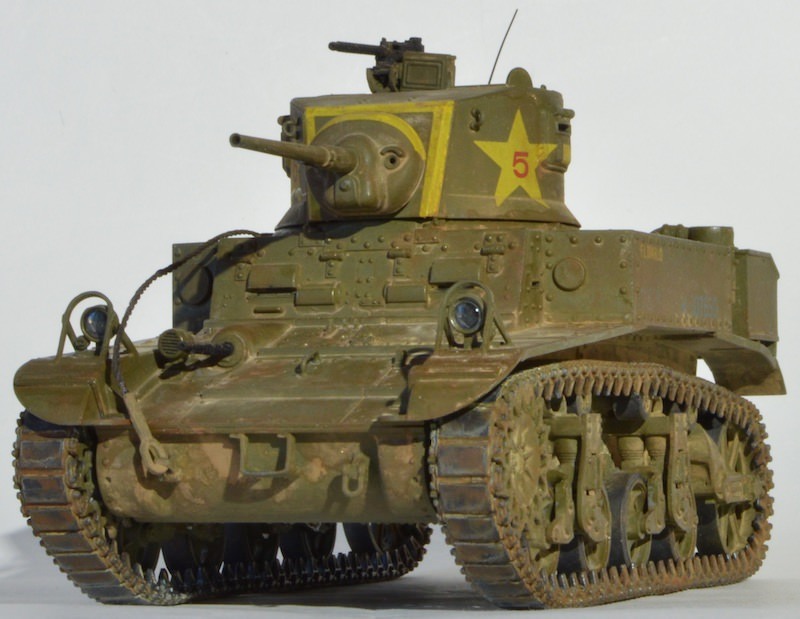 The Tamiya model appears to me to be the M3A5, the riveted hull with the twin GMC six cylinder diesel engines. It was a great way to propel the M3 but less than 600 were made and decal sheets for this version seem to be very thin on the ground. I may end up using the kit markings which I also have my doubts about. The markings are white rather than yellow. Is this correct for the time & place? Only further research can tell . . . The build is going to be mostly OOB because I have joined late and starting with September I am already enrolled in another two capaigns! 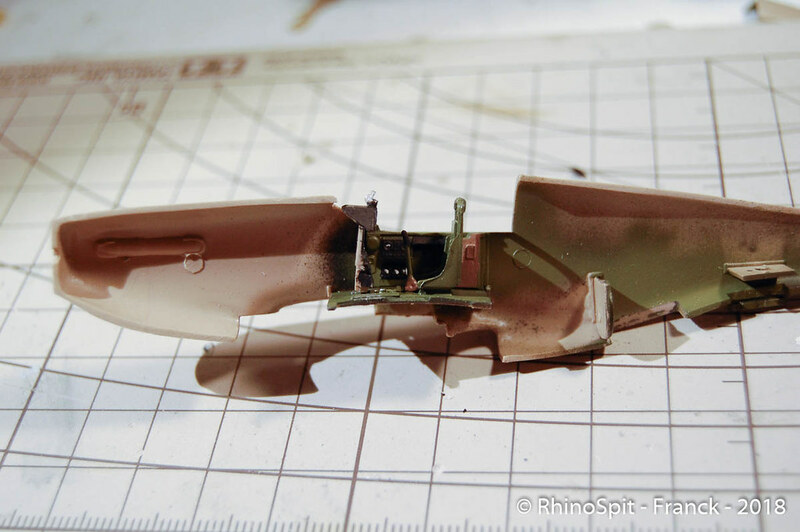 This is going to be Airfix Junkers JU 87-B in 1/48 scale. To cast away any doubts about the operational theater, I chose the Italian markings. 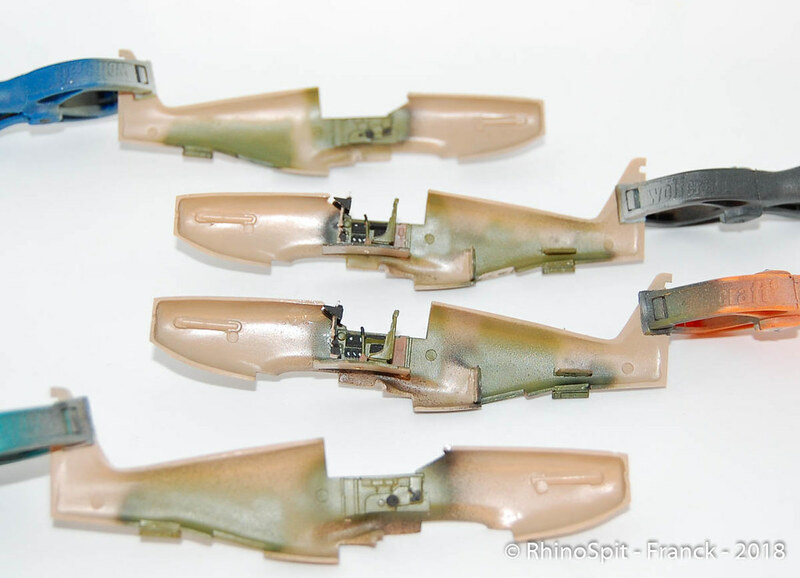 Although it's one of the older Airfix kit, the surface detail it's rather good, a mix of raised and recessed detail. I know already I might encounter some fitting issues with this kit but I think I will be able to save most of the exterior detail. 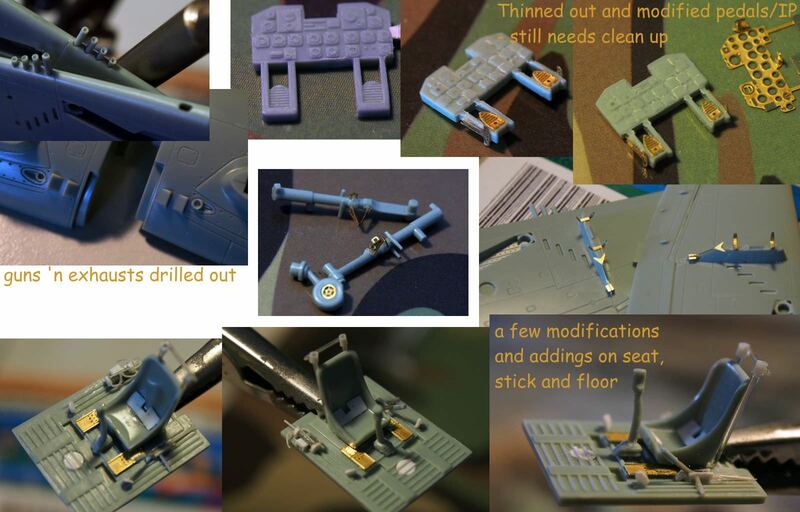 I might try my hand on scratch-building some seat belts, because I'm not going to add the pilots provided with the kit. This is the actual stage of my build. First small shot of the progress. Count me in as enlisted. Arrived home early hours of the morning. Able to find the Kelly kit out this afternoon, probably needs a few bits replacing from the spares box. Will have to do a bit of researching to find out the Kelly's fit during the Crete campaign. I believe that one set of torpedoes were replaced with a 4" AA gun and extra 20mm Oerlikons fitted at various posts. 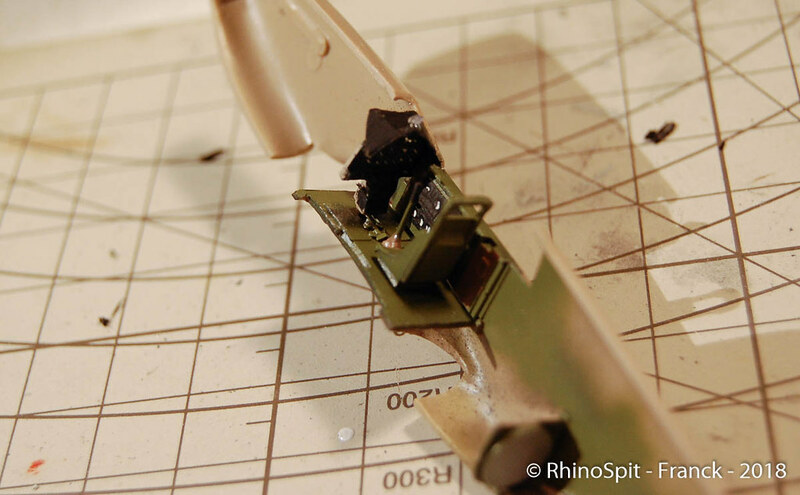 Next steps: scratch-build the seat belts and brush paint the details inside cockpit.